LEARNING & INNOVATION: Why do businesses need a mission statement? Why do businesses need a mission statement? As we continue our discussion on entrepreneurship and imagine the future of our business, we shall also take into the picture the past and the now. Let us remember what Louis Mandylor (Nick Portokalos) told Nia Vardalos (Toula Porto­kalos) in the movie My Big Fat Greek Wedding, “Don’t let your past dictate who you are, but make it a part of who you will be. Your mission is not something that you will only decide now. In fact, you have long decided on that the moment you contemplated your business endeavor. But the reason we have this exercise is for you to stretch your mission, to imagine its possibilities and to put your thoughts in concrete terms. I saw this in my folder of notes: A mission statement is the description of the basic purpose of the organization. It is a simple, compelling statement of the organization’s must-do activities. It states the organization’s customers, the value premises it offers those customers and any special means it will use to create value for the customers in order to win and keep their business. Chamber of Furniture Industries of the Philippines: To lobby for responsive political and social issues and help move the furniture industry towards sustained growth and global competitiveness. Asian Eye Institute: To deliver to all our patients the highest quality eye care on a par with the best in the world. 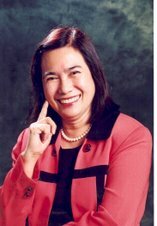 To advance the science and practice of ophthalmology in the Philippines and Asia. To make high quality eye care available and accessible to the Filipino people. • What are our products and services? • Who are our publics (customers, employees, stockholders and others)? • Why do we exist? Coca Cola: We exist to create value for our share owners on a long-term basis. We refresh the world. We do this by developing superior beverage products that create value for our company, our bottling partners and our customers. Globe Telecom Customer Service Mission: In Globe Telecom, the Customer is our priority. We aim to deliver world-class customer service through people (highly motivated, values-driven, well-trained, empowered and customer-focused professionals), technology and process (continuously design and consistently implement timely and customer-friendly processes). We champion the development of a service culture within the organization. We take pride in being a cohesive team committed to Total Customer Satisfaction. Whether as individuals or organizations, we all need a mission statement. A company, big or small, because of the diversity of interests and levels of competence of the people in it, needs a mission statement as a source of direction and identity. It gives a company a sense of purpose, what it stands for and where it is headed. As Abrahams said, a mission, simply by its very existence, provides a foundation on which the company can build its future. Why do you need a mission statement for your business? It is a great team builder. It also helps you in your managing, leading and integrating the different functions, parts, objectives and goals of your organization. Length: One sentence? Two sentences? One page? Long enough to state your reason for being in terms easily understood by your target publics. Number: You can have more than one mission statement. One for the whole company. One for every functional area or parts of your business. One for every geographical location. One for every cubicle. Tone: Conversational? Formal? Serious? Depends on your target publics. Choice of words must be deliberate, specific and descriptive. The language and tone should be that which would evoke the needed emotional responses from your target audience. In sum, your vision should be inspiring and your mission should be moving. World Peace. Think global. Buy local.